April Wildlife and Links & Likes. Binny tries out a Chocolate Afternoon Tea and I am seriously envious ! Eliza has had a break in beautiful Venice. 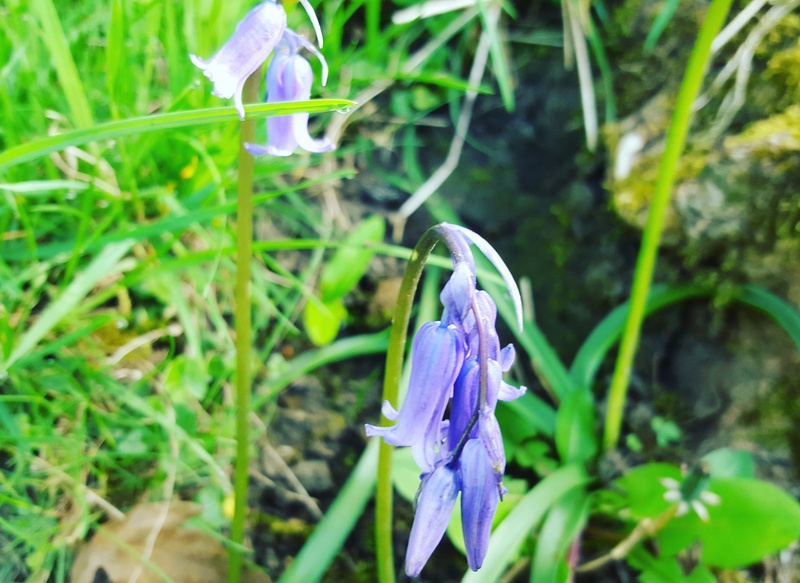 More beauty on Laura’s Blog as she Walks among the Bluebells. Jo finds a A Glass Menagerie in Sunderland. Janey has set herself the challenge of watching 52 Films By Women this year. A Lesser Spotted Hugo ! Previous PostPhoto An Hour ~ Sat 22nd April.Next PostBluebells and Benedicts. Loved my garden this Spring and I even got a Spring forage. It’s looking a little lack luster now so need to put some colour in…. I think I may have passed through the Ribble valley at some point (driving ) all I remember was how green and tall the hills were. And of course neatly shaped unlike North Wale’s craggy environment. Like I say I think I passed through , it was some years ago !